One of the more unique adventures to arrive on the Switch eShop in its first year was OPUS: The Day We Found Earth. A charming, story-focused stargaze-‘em-up from indie studio SIGONO, it delivered a shining example of narrative gaming and left us searching for more. 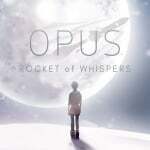 Happily, publisher Flyhigh Works/CIRCLE has brought a follow-up in OPUS: Rocket of Whispers. 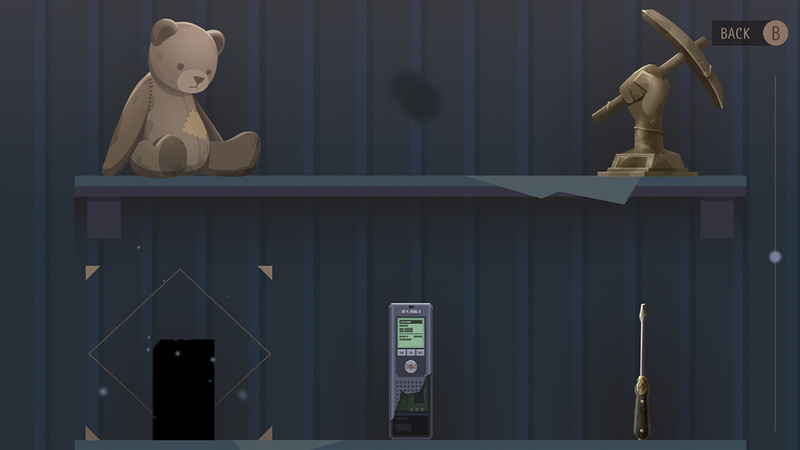 With an all new story and gameplay that swaps star-gazing for rocket-building, it’s a much more melancholy experience, but every bit as affecting as the first. Though their shared ‘OPUS’ heading suggests that Rocket of Whispers might be a sequel to The Day We Found Earth, their connection is more nebulous; they may take place in the same universe, but in practice, they’re completely independent stories which happen to share a focus on space. 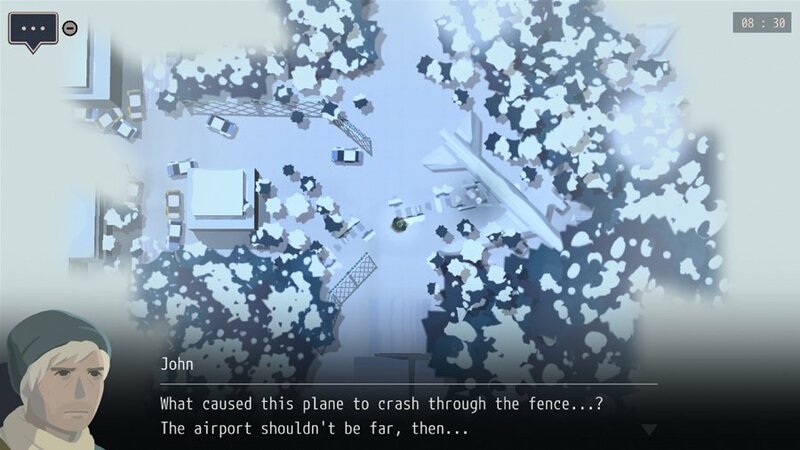 In Rocket of Whispers, you play as John, one of the only survivors of a catastrophic plague. Haunted by voices of ghosts, John’s only corporeal companion is Fei, the last ‘Witch’ responsible for directing the space burials central to their faith of Earthology. Space burials are meant to return departed souls to the cosmos via rocket, and as John and Fei eke out an existence in the snowy post-apocalypse, they focus their efforts on building rockets to carry out these interstellar rituals. In gameplay terms, that work translates into scavenging via top-down exploration and crafting. Each day, you’ll set out from the rocket factory John and Fei call home to comb the snow-covered town for materials, and return before nightfall to piece together your finds into rocket parts to advance the story, and equipment to further aid your exploration. Crafting a metal cutter might let you harvest more materials or get through fences, for instance, while a makeshift flashlight will help you see inside the now-powerless buildings. Your expeditions are ostensibly timed — at least at first — to a single day at a time (about five real-world minutes), but there’s no real way to ‘fail’; the clock serves to gate your exploration rather than to punish or hurry you along. As you explore, you’ll learn more about OPUS’ world and history through a variety of sources: John’s memories, found documents and objects, and the ever-present ghosts which whisper to you as you move around the map. Some of these ghosts will confide in John their last regrets or unfinished business, and — if you manage to scrounge up the materials needed — you can put their souls at peace through crafting side-quests. 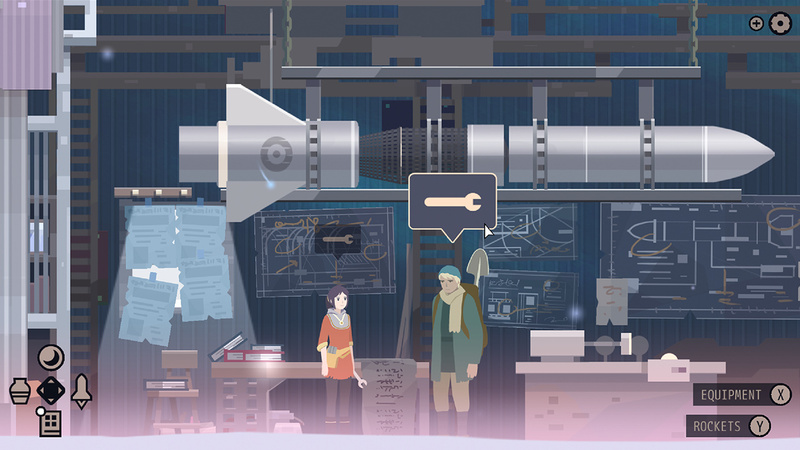 Rocket of Whispers has a bleak setup, and the atmosphere is heavy as a result, but helping out ghosts and piecing together the story and lore as you go makes for an enjoyably non-linear narrative adventure. Like The Day We Found Earth, Rocket of Whispers’ story is carried by strong, effective writing and a charming fixation on information and data; in the former, it was stars, and here, it’s rocket parts. We won’t pretend to know much about the science behind spaceflight even after finishing the OPUS games, but the fact that every item you’ll come across and craft is accompanied by meticulously compiled metadata gives Rocket of Whispers an endearingly unique style. Apart from the text, that style is further bolstered by OPUS’ presentation, which makes excellent use of a simple art style. It’s childlike in a way that helps soften the dreariness of the world, and its mostly muted earth and sepia tones make the moments of colour that do appear feel truly special. The same can be said of the soundtrack; it’s atmospheric and subtle, with a prominent piano, and often drifts out to leave only the sound of boots crunching in snow before swelling back in. One of the things we loved most about OPUS: The Day We Found Earth was how it felt like a narrative that could truly only be told in a game. 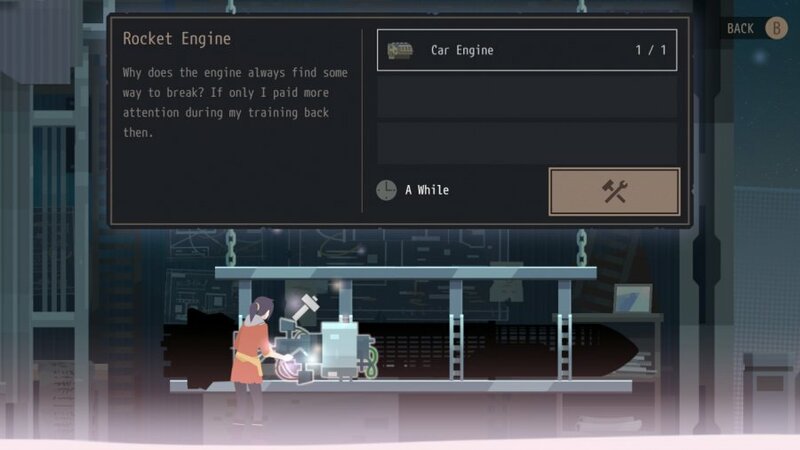 That same synergy between gameplay and storytelling is still present in Rocket of Whispers, but it’s perhaps less impactful here, if only because of the familiarity of the mechanics; star-gazing felt utterly unique as a gameplay conceit, but the nuts-and-bolts of scavenging and rocket building — exploration, collecting, and crafting — are standard fare in the medium. 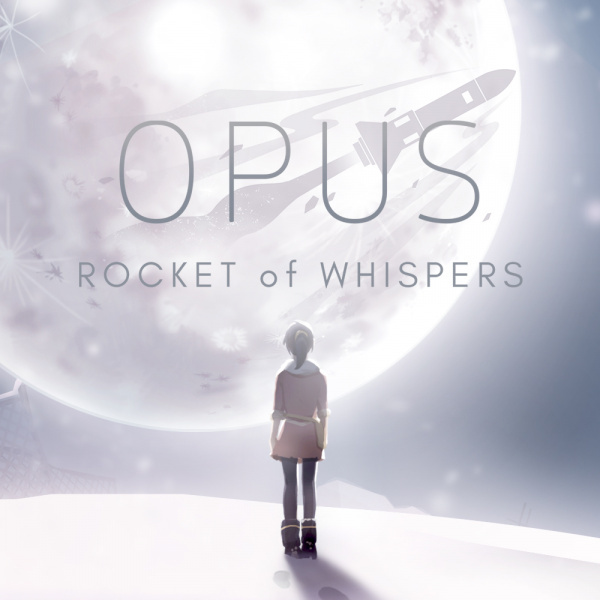 Still, even with its more conventional gameplay loop, Rocket of Whispers manages to keep the beautiful crescendo pacing that defines the OPUS series; it starts off comfortably slow but steadily increases towards a breathless finale — an unforgettable fusion of music, gameplay, and story that made us undock the Switch, plug in headphones, and play straight through until the end credits. For us, the journey took around four hours, which felt just about perfect. We had very few complaints along the way, and the issues we did note were slight; the lack of touchscreen control felt strange, but it’s certainly not a dealbreaker (the left analogue stick controls a cursor in the non-overhead sections), and as much as we sometimes wished for waypoints, we also enjoyed having to map out a mental picture of the town as we explored. An emotional experience that’s as much about loneliness and letting go as it is about rockets, OPUS: Rocket of Whispers captivates from start to finish. It’s darker and bleaker than its predecessor, and scavenging for rocket parts isn’t as immediately appealing as stargazing, but it’s still every bit the affecting combination of narrative and gameplay that defined The Day We Found Earth. If you like curling up with a good book as much as sitting down with a good game, Rocket of Whispers is a perfect way to spend an enjoyable afternoon. The story sounds interesting. On my radar. Like the first game, I absolutely loved this one. To me it is better to think of this as a story first and a game second. Both games left me feeling so invested in the characters and their fate that I just had to know what happened next. Both stories are bittersweet and emotional. I agree with this reviewer that the first game was more unique but that doesn't detract from the quality of the narrative experience. Further this game was a tad longer than the first one. If you are like me and love character driven narratives, this is well worth your time. Also both games are building into a shared universe the creators are working on and there will almost certainly be more OPUS games in the future. Yes you could get it on a mobile device but you would then have ads and be forced to sit through the story on an inferior product - the Switch version is definitely the best choice. Also controlling this game with pure touch screen controls and no buttons sounds terrible - though that is more my personal opinion. One thing though, I find text in many games to be a bit too small for comfort. Is there a way to make text bigger like you can with iOS and safari for example? I purchased the first one, but have yet had the time to play it. Both of these though remind me of Fragile Dreams as far as the emphasis on story is concerned and the overall tone. Great game, I love playing it on my Switch. Might check this one out. Sounds like a cool adventure and a good fit for the Switch. Maybe playing it on some lost vacation hours. Loved the first, definitely gonna get this game to play between other games. Do I need to play the first game to enjoy the story of this game? @tabris95 Apparently not, the games aren't really linked in any way. I played through both OPUS games on Switch and enjoyed them a lot. They’re both light, short, emotional narrative experiences, which make for nice breaks between lengthier games (I’m looking at you, Xenoblade 2). You don’t have to play the first one to get into the second one, though they are closely tied thematically, and there are clearly connections that the two stories are taking place in the same universe.